Reach your financial goals and create a safety net with a savings account from Bank Midwest. With as little as $25 to open, you can be on your way to establishing positive savings habits and handling life’s unexpected expenses. Choose one of our solutions based on your goals and needs. Compare our Savings Account benefits. If you have a high-deductible health plan (HDHP), a health savings account (HSA) is a useful way to save for medical expenses and reduce your taxable income. Saving through an HSA is an efficient way to establish peace of mind for your medical future and provides a convenient way to pay qualified medical expenses through a Visa debit card or check. Contact your local banking center to learn more. Learn more about Health Savings accounts. We’re proud to offer the Coverdell Savings account to help you save and pay for qualified elementary, secondary, or post-secondary education expenses. 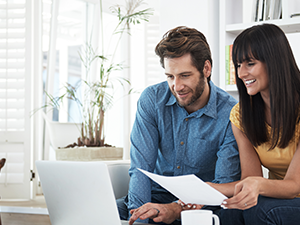 Learn more about our Coverdell Savings accounts. With a minimum balance of $500 and terms as short as 91 days, CDs offer stability and compound interest either yearly or upon maturity. Interest can also be paid electronically to another bank account monthly, quarterly, semi-annually, annually or at maturity. Contact your local banking center to apply today. 1Federal law requires that you can make no more than six (6) pre-authorized debits or checks per calendar month from your savings or money market account. Please refer to the Electronic Funds Transfer Agreement and Disclosure for a definition of pre-authorized debits. 2A transaction fee will not be imposed for the first three (3) debits each month. Additional debits are $1.00 each and the fee will be added to the monthly service charge calculation displayed on your periodic statement. 3You will be charged $15 for each pre-authorized debit or check that exceeds the six (6) limit each calendar month. ATM withdrawals and withdrawals made in person at any banking center location do not count towards this limitation. 4Variable rate account, interest rates are determined at the bank’s discretion and subject to change at any time. Please refer to your Truth In Savings Disclosures for more information on how interest is calculated, which can be printed upon request. What checking accounts does Bank Midwest offer? The Bank Midwest routing number is 101006699. What is Bank Midwest's 2019 holiday schedule? Contact information can be updated through online banking, by visiting your local banking center or by calling our Client Services & Solutions team at 800.867.2265. Most funds are available next business day. Please call our Client Services & Solutions team at 800.867.2265 for more information about when your funds will be available.